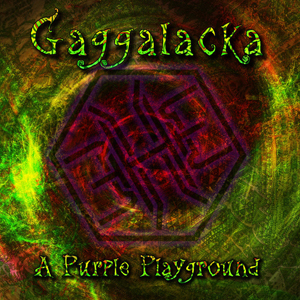 As a thank you for a wonderful Gaggalacka festival at the end of last summer, here comes the next musical journey for you: A Purple Playground. It consists of eleven tracks bringing you the feeling of the festival sound from noon until night plus three marvelous downbeat tracks as a soft and emotional closing. Many of the involved artists have already played at previous Gaggalacka parties and some promising new names have been chosen for this compilation. Enjoy this journey and hope to see you all again when the next Gaggalacka calls from the 5th to the 7th of September, 2014. Compiled by DJ Merry:) in cooperation with Purple Hexagon Records, mastered by Gelika (Insane Creatures), with artwork by Rukh. MP3 Download | FLAC Download | WAV Download · Download count: 14,127. Nice Music :) especially “Tara Putra – Amyg Dub Lala” can’t get enough of it! Nocti Luca !!! WFT !!!!! That is THE MOST amazing track ever !!! <3 INSANE !! true masterpiece !!! Another blasting release from our label dj Merry, usual suspect of Gaggalacka Festival organization…. Many thanks to all the artists involved in the compilation, your music rocks and we are so proud to spread it around!!! Keep it underground and enjoy the sounds!!! WOW>>>Just they way i like it……Smooooooooth stomping :-)…….Namaste ! Hey, Basilisk, what’s with the download speed? My framerate is dropping like a rock on this download. 45 minutes? Geez. Okay. Now after listening I can say I am thrilled with all of the nice, different sounds! Really, this is worthy of any collection, and a big kudos to Gaggalacka Festival and those artists involved. I think the slow download was due to a lot of people on this site at once. Spacer 8714 is amazing too !! I had to come back and leave my first review for this, it really deserves it and I’m only up to track 4! Track 3 really hit my g spot and it’s left me vibing. awesome ,sounds ,very good quality.